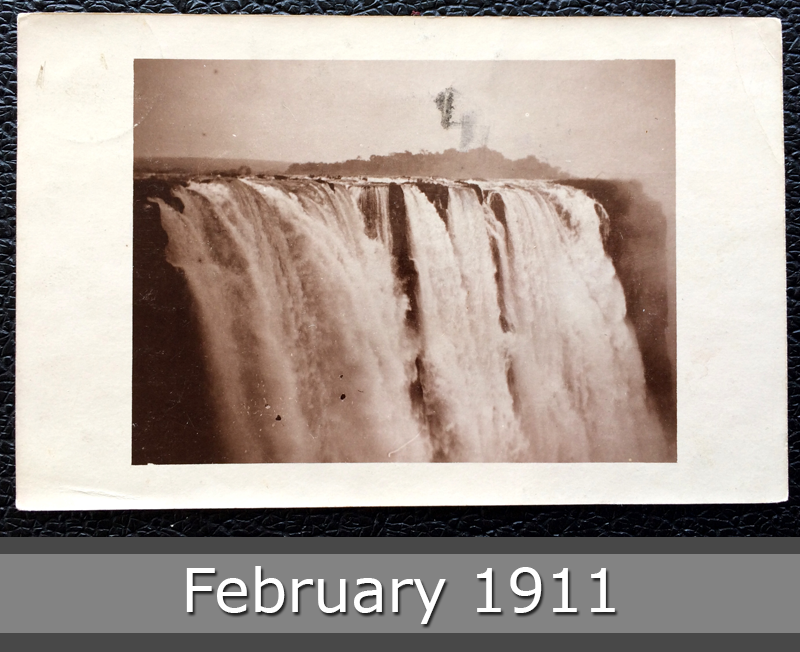 I don’t know, which waterfall this is. The stamp comes from Rhodesia in south Africa. 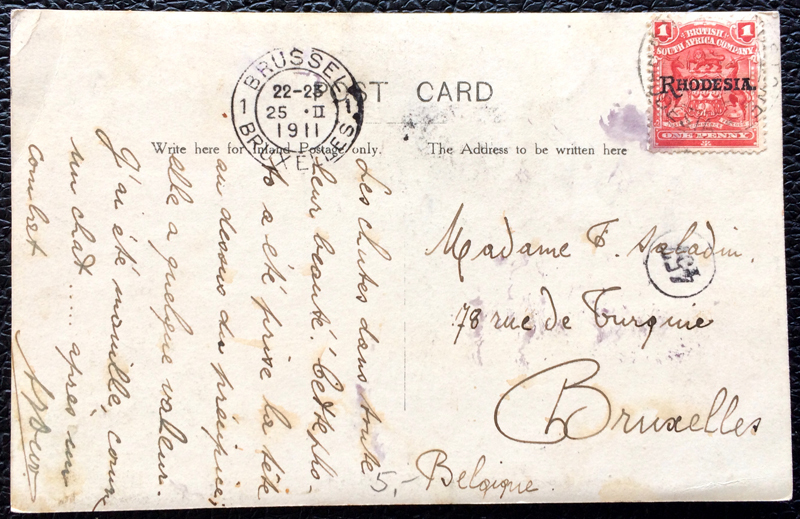 The postcard goes to Bruxelles, Belgium, and was cancelled in February 1911.